“Every cycling woman knows the deep yearning for quietude during her Flow time. while our culture calls us to keep going, no matter what. Red Tents are a global movement of women coming together and finding time to just be where they are, meet other women in their community and enjoy a the opportunity for women to share in a deeper way than they might usually do. This is done in a variety of different ways. Each month women invite others into their homes, outdoor spaces or community spaces, and spend time together for a whole day, afternoon or evening. By doing so we take time out of our busy lives to rest, talk, share food, enjoy creative pursuits, take part in other activities that fulfil our needs and deepen our connection with the Divine Feminine. When we come together in this way each month we are able to be more present in our own lives and the lives we share with others. 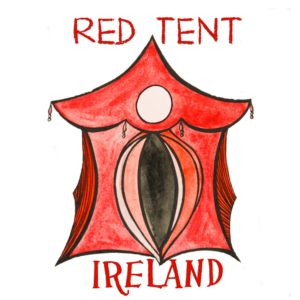 Our Red Tent is listed in Europe’s Red Tent Directory where you can find out the Red Tent closest to you or details on how to create your very own Red Tent. We usually meet during New Moon each month in the Zen Room in Hillsborough Co. Down. Check out or subscribe to my FB events to find out the date of our next gathering.